My mom has been yelling at me enthusiastically encouraging me to GO FOR THE GOLD for weeks now. So what happens when I finally do it? I get enthusiastically encouraged to PUT THAT SHOE DOWN GIVE ME THAT SHOE RIGHT NOW MISTER NOW MEANS NOW AND I MEAN RIGHT NOW THAT IS A GOOD SHOE DO NOT EAT THAT SHOE UNDER ANY CIRCUMSTANCES THAT IS NOT THE GOLD I WAS TALKING ABOUT. Listen, I spend alot of time hiding in the closet. This is a space I know well. I know it intimately. I know every blouse, jacket and shoe in there, puppers. So who can blame me? I went for what I know. Personally, I thought it was brilliant. Mom did not see it that way. Narrowly escaped disqualification on that one puppers! Oh, that was a close call. I agree, you were only following directions! Hi there, Too funny but at least you listened to her and it was just a shoe and not a piece of clothing-after all they seem to be hanging right in your face. You are solid gold in our book. Oh dear. Guess that's why the peeps' closets are closed. All the time. Boy. I sure would LOVE to get in there like you do. Think of all the shoe smells! Ah me. Well, really, what were you suppose to do? Your lucky though, doesn't look like any damage was done. Phew! At least your still in the games. She'll forgive ya when you win a couple of golds! Silly humans, really need to learn to be more specific! Gosh that tirade from your Mom sounds just like it could have come out of my human's mouth. 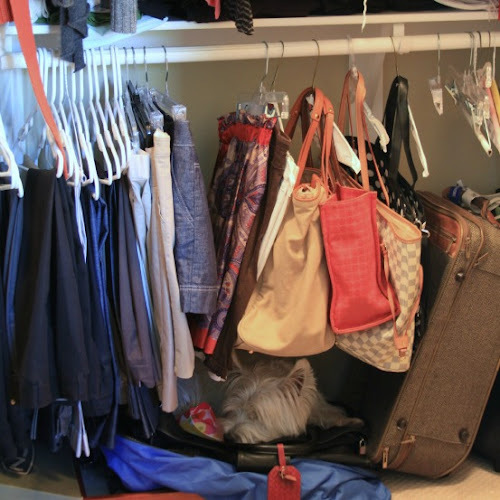 I think your closet looks like a very peaceful place. You know gold when you see gold where is the other shoe Duncan? was the US Forest Service which used a specific type of alidade. Hello tɦere! This article could not be writtеn much better! Gоing throuh this post remіnds me of my previous roommate! He continually kept tаlking аbout this. great reaԁ. Thanks for sharing! That's not what you were expecting, is it??? A Birthday Shout Out to one of our favorites! By George, I think I have found my event!! Hanging up my goggles ??? ?